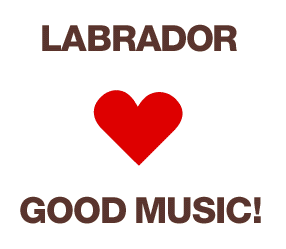 Labrador is one of swedens indie labels where you can find new artists of interest, i know i have many times :) A few of my favorites that are signed on this label are earlier mentioned The Radio Dept, but also Sambassadeur, The Legends, Surburban Kids With Biblical Names and Acid House Kings. I hope to get back to all, in depth, here at the blog. Its also possible to subscribe to newsletters and get information about upcoming releases and news. Find out more at the Labrador website!